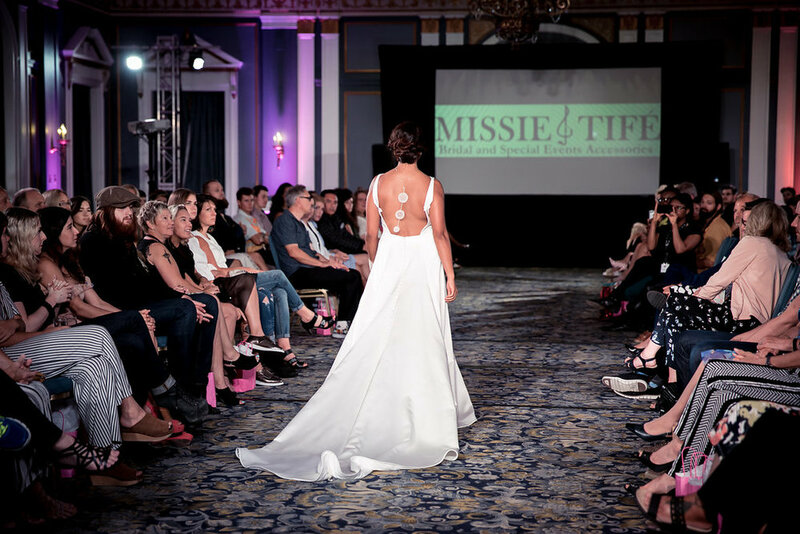 Now that the event photos are rolling in (and back-to-school madness is fading to routine), my personal highlights of Saskatoon Fashion and Design Festival's runway event at the Bes are again top of mind. If you were there, I'm curious if we've got similar takes and if you weren't, I'd like to show you what you missed. 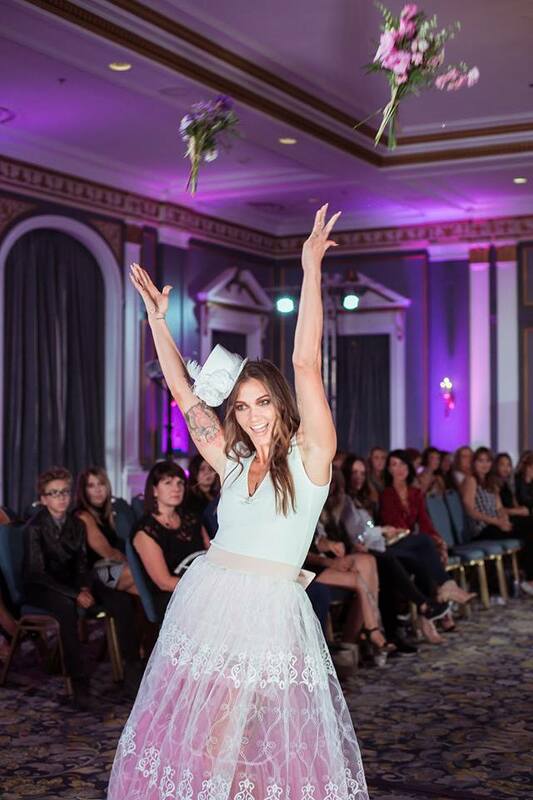 Featuring photos from Day One by Erin Crooks Photography and from Day Two by Nicole Romanoff, here are my favourite moments from Saskatoon's premiere fashion event. I kicked off my SFDF 2017 experience alongside Erin Crooks, styling Edge Agency Model Hannah Dawn and Stray Management's Emily Brown for her photography workshop using, of course, all locally-sourced pieces. Erin shared her experience with lighting and posing with participants as they worked hands-on to create images of their own. In the slideshow above is one of my favourite images to come out of the workshop, Hannah Dawn in Wear Our Heritage and Cedar and Vine as captured and edited by photographer Desiree Martin. Behind the scenes documentation by Nicole Romanoff Photography. My on-the-runway highlights from Saturday night are as follows: a ziptie headpiece and gown from the Saskatchewan Wearable Art gala preview, a codpiece that dropped my jaw that was also part of the Wearable Art gala preview, the embroidered fabrics from designer Ashnita M.; the inspirational story of Authentic Brave Apparel, Alexandra Simon's always-on-point styling for White Dhalia by Dutch, and Melissa Squire's more sophisticated take on her classic rockabilly designs. 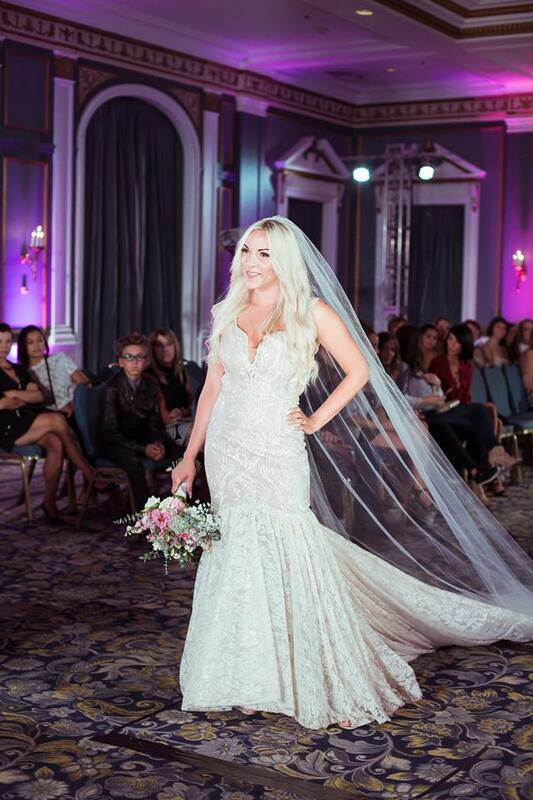 But seriously, can we talk about that wedding dress Melissa handmade for her sister, model Ali Squire? Because you guys, it was a well-crafted dream of a gown. That whole set had an energy that made it clear Melissa Squire is poised to break out of her niche, whether she planned that or not. Sunday's show was a little longer and I was watching from the side, alone, because I hosted the night. So maybe I looked at things a little differently but I have to break it up into two parts or it's going to be a mouthful in one paragraph. 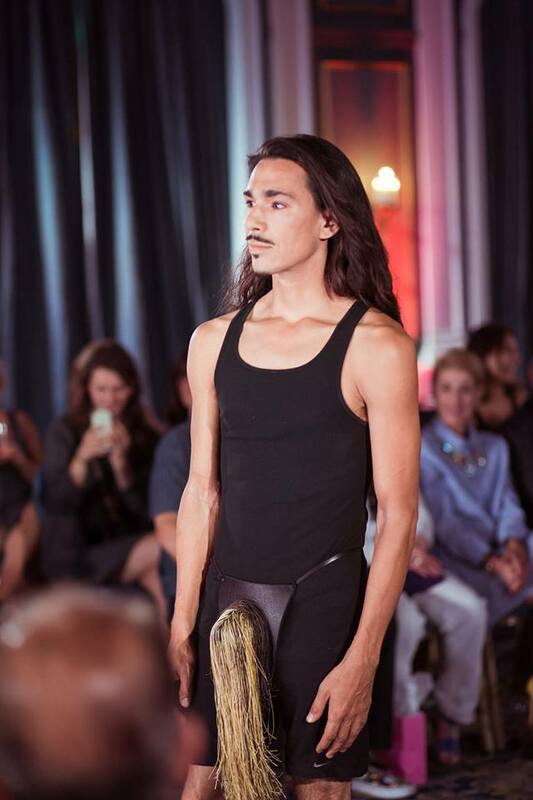 As I'd seen the wearable art pieces from the night before, on Sunday the shock of the codpiece had worn off and the detailing of the coffee filter-constructed dress, cape of bottlecaps, and Re-Tired Mermaid by Melissa Squire stayed in my memory. Other stand-outs, part one: Aboriginal designer Siwinikan Designs' gorgeous textiles, Sam Carduff's styling for Sandbox in the City that brought edge into the everyday, and the delicate beauty of Missie and Tife's silver woven jewelry. Proof that me and my growin' baby bump hosted the night, which also counts as a personal highlight, obv. Eleven03 was incredible. 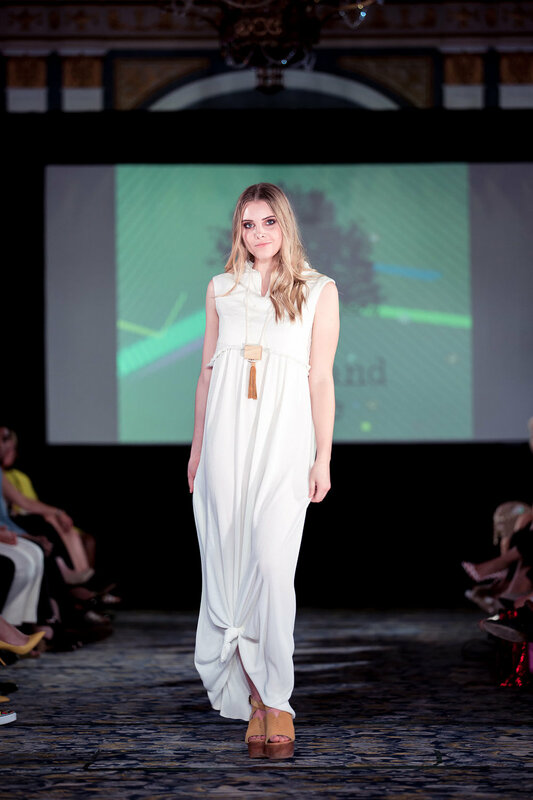 Tough, interesting, and entirely handmade, the collection wowed the audience and myself alongside. Masala's Jadyn Pingue got the biggest applause, though it's a tough call whether it was for his suspendered trousers or what he wasn't wearing. I want the oversized, cold-shoulder button-up that comes next in the slideshow, btw. 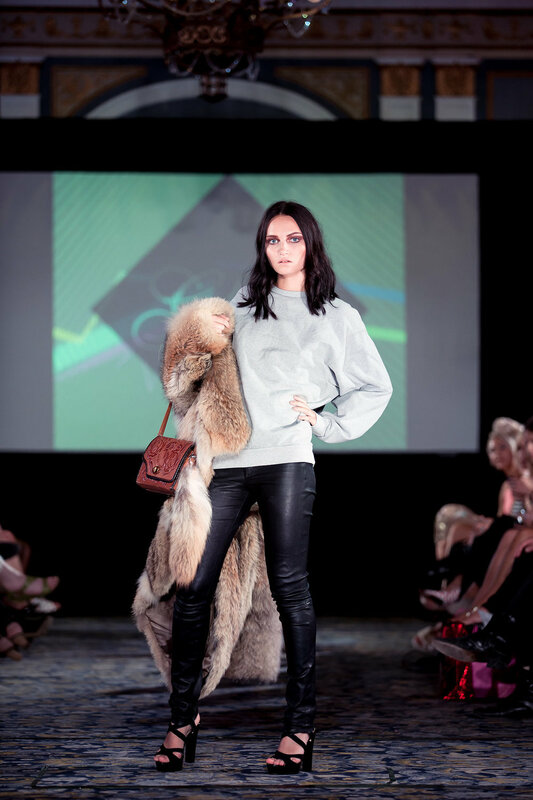 Also fab was the curated collection Goldie's General put forth, mixing heritage pieces like vintage fur and siwashes with modern boots and pleather skirts. Yaaas. 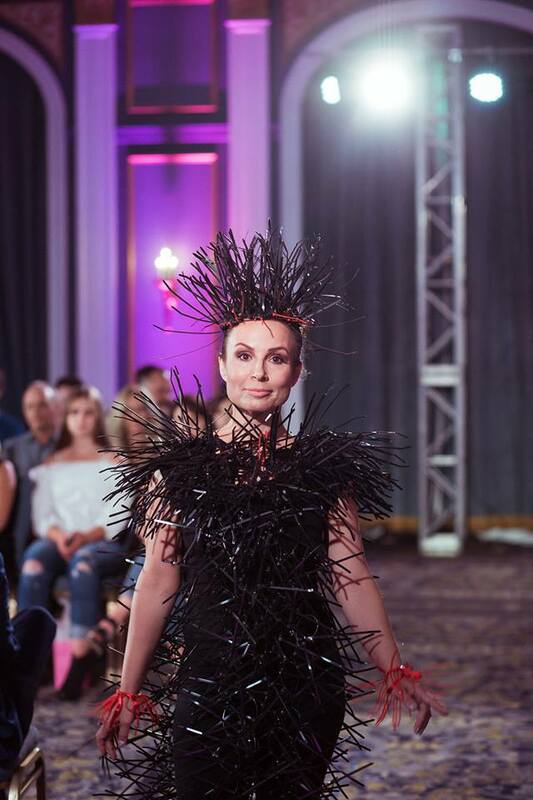 Then, closing the show, Cedar and Vine's collection was easy, timeless, and had an earth-goddess feel that only natural, raw fiber can bring. Yep, Sunday was PACKED with goodies. Now you see why I broke it up! Seeing the talent that is coming out of here makes me proud to live in Saskatchewan. 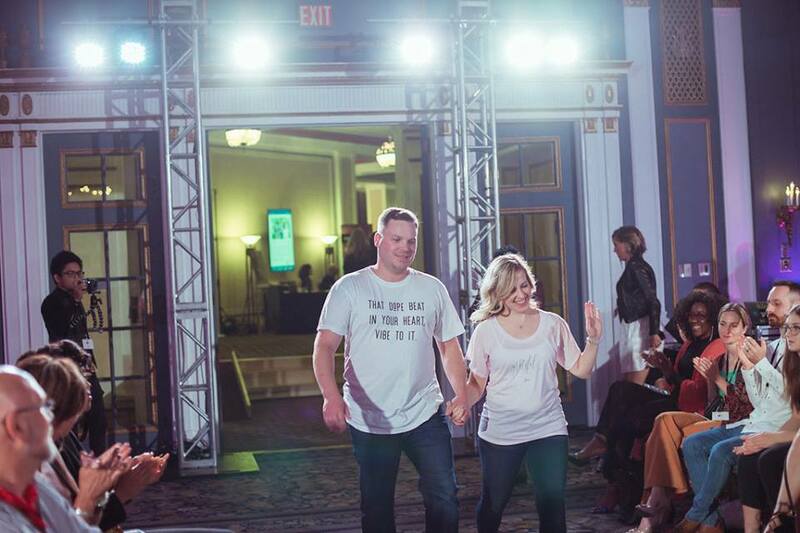 What a weekend at the Saskatoon Fashion and Design Festival-- congrats to everyone involved for bringing local into focus. If you've got other favourite moments or just want to say an AMEN to one of the ones I've shown you, let me know! I love banter, y'know.